When the time comes to express your sympathy and compassion in a way that will be remembered, put your trust in the Ground Effects Floral Studio. We can help you choose an appropriate memorial to celebrate life and to comfort those who have lost. 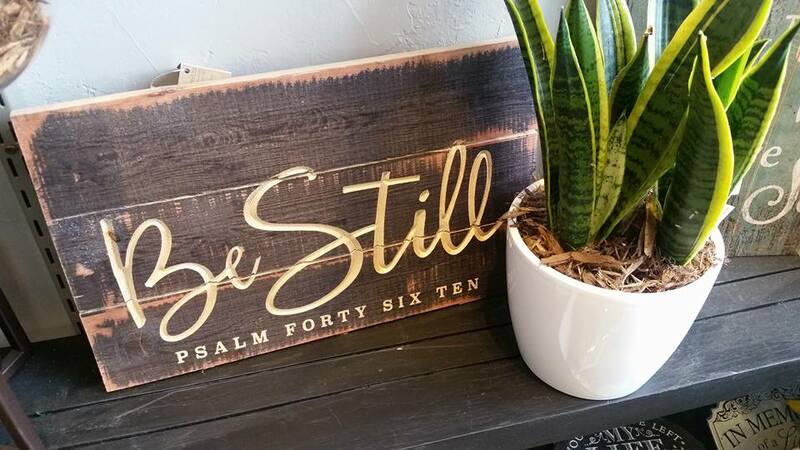 Our showroom is always stocked with houseplants, memorial prints, plaques, benches, wind chimes, lanterns and many more unique gift items. Give our floral studio a call or stop in to our showroom to see what we have to offer. This selection of house plants is a good representation of the plants we are likely to have on hand at any particular time, our actual inventory may very. Please call Ground Effects to see what is available. This selection is a good representation of we are likely to have on hand at any particular time, our actual inventory may very. Please call Ground Effects to see what is available. This selection of memorial prints is a good representation of what we are likely to have on hand at any particular time, our actual inventory may very. Please call Ground Effects to see what is available. This selection of lanterns is a good representation of what we are likely to have on hand at any particular time, our actual inventory may very. Please call Ground Effects to see what is available. Are you in need of a unique memorial gift? 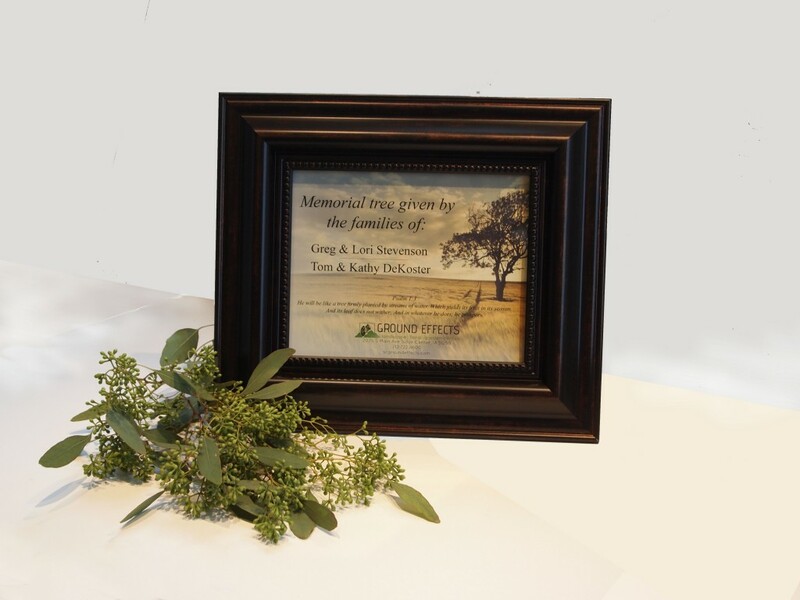 A tree planted in someone’s memory is a living tribute that benefits present and future generations, and is perhaps the most fitting memorial gift of all. Honor those who you have lost by adding life to the world around their loved ones. 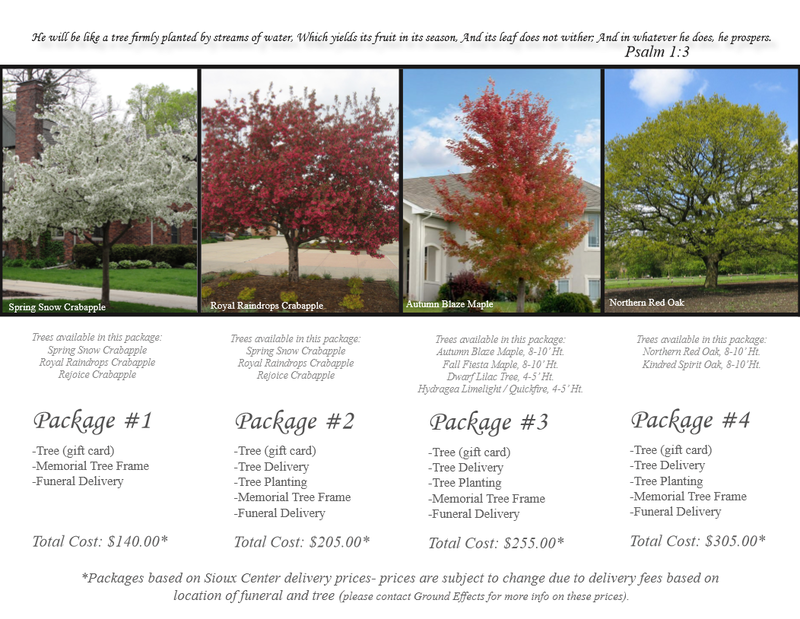 Please call our floral studio for more information or take a look at our Memorial Tree Brochure. Are you from out of town and need your gift delivered? We can ensure that your gift is brought to any location: residences, hospitals, businesses, funeral homes, and churches.